Families of children with a disability have been left “devastated” after a Not for Profit specialising in children with complex behavioural problems has been forced to close its doors and cancel upcoming camps due to a lack of funding. Melbourne Youth Initiative, which has been providing specialised services including in home support and respite camps for nearly two decades, had to close due to cash flow problems, which the organisation said was made worse by “broken promises” and the uncertainty of the NDIS rollout. MYI CEO Will Mithen told Pro Bono Australia News the organisation was forced to close after battling for more than a year since losing funding and despite assurances the Department of Health and Human Services would intercede to find a funding solution. “This is right on the cusp of the NDIS, but unfortunately we simply ran out of time,” Mithen said. “Around 18 months ago we didn’t get our next annual round of funding. We were funded basically fully philanthropically by perpetual managed trusts up until then. “At the time we approached DHS and the state government, and our parents and our volunteers wrote letters, and eventually the minister wrote back. Mithen said they were told the families would all be processed by April 2016 ahead of their next major camp. “When mid March came around and nothing had happened, DHS said ‘tell you what we’ll give the money to you directly this time and then we’ll back link it to individuals once it all gets processed’, so they gave us the funds up front for our April program, but now things have transitioned over to the NDIS in our area… so DHS is no longer in a position to do anything,” he said. “From what I know, there might be four out of the 50 or so eligible families who have been processed, and essentially we have been operating on a kind of week to week basis. “We do some other work, direct support with kids at home, kids and young adults, which has been kind of helping us to stay afloat, but unfortunately it is all paid in post so they will mostly pay after you deliver the services which means there is a massive gap often between the time you send the invoice and when you get paid. “I don’t think a single one has been paid on time all year and often three months late, which put us under huge pressure all throughout the year and unfortunately we tipped over a line where we need to operate. Mithen said the families who relied on them for the service were devastated. “Many of these families don’t really have anywhere else to go,” he said. Tomohiro Matsuoka, told Pro Bono Australia News his daughter Sora loved the camp. “We always worry, what if my daughter causes trouble and so on, but I just send my daughter away and she always comes back really happy,” Matsuoka said. 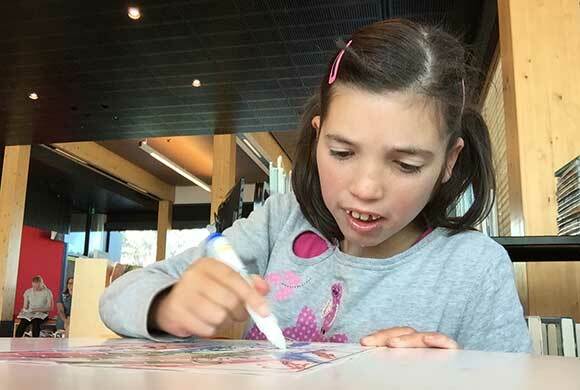 “My daughter just turned 16 and she has a chromosomal condition called trisomy 4P, and it is associated with significant intellectual disability. She doesn’t have speech, she has some good receptive language and she understands what we say but she can’t speak, so she uses some very basic sign language; I want more, I want food or drink or please or help or things like that, so communication is quite often a challenge but still, every time she goes there she comes home really excited and they told us Sora gets actually sad when they have to leave. Matsuoka said the camp gave the rest of the family, including Sora’s younger brother, a break. 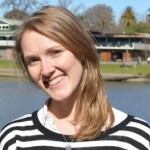 “For example the last camp program, I actually had the opportunity to take my son just on an overnight trip to the Grampians… usually we don’t go anywhere, one of us has to stay with my daughter and then the other one of us just organises something with my son and it was actually a quite good experience. “This two nights or three days break gives the rest of the family time to allow us to do actives and so on and it also gives Sora a good time. To be honest I think my daughter has a better time than staying at home because this camp is one on one… the staff ratios are quite high and it is fully tailored for the individual. “All the staff are really positive… even after coming back from the camp I’m sure they had some difficulties and struggles and lack of sleep and so on, but they come home with big smiles and so this gives us a kind of a sense of acceptance. Kevin and Susan Raven’s 16-year-old son Fraser has been attending MYI camps for several years. He has severe autism and is non verbal. The Ravens said the camps had been very important to them as a form of respite. “As Fraser gets older we find there’s less respite facilities available for kids like Fraser,” Kevin Raven told Pro Bono Australia News. “MYI is quite unique for us. “This just takes away another option for us during the school holidays. “Fraser is a very sensory driven child and so one of his main things is swimming and again most of the respite facilities don’t offer swimming, I suppose it’s considered to be a higher risk… but with MYI we were just always amazed at how well they are set up. Susan Raven said Fraser enjoyed the camps. Another parent, who wished to remain anonymous, told Pro Bono Australia News they were devastated about the closure of MYI, which they relied on for support. “I am going to struggle big time actually,” she said. “[My son] was diagnosed with autism just before his fourth birthday… I didn’t know anything about autism… it was just a big word… they never actually explain [it] to you to even, when he got the diagnosis, it was pretty much ‘your son has autism, he won’t grow out of it, get out, go find your own help’. I remember it like it anything. She said it had taken a toll on their whole family. “It’s not just the person with the diagnosis, it’s everyone,” she said. “We have to do like a roster to be able to see each others kids and this and that. I’ve got nieces and nephews but because of his behaviour… he hits his cousins and they’re only little… we’ve split up the family, we can’t do birthdays, Christmas, even to this day now, it was [his] dad birthday yesterday and we still had to remove him out of the room. She said that Mithen made a big difference. “The support and information that Will gave to me always worked, and was fantastic. He would come out to the school, he came out to the shopping centre, he met my mum to try and see how she handles him, because he wasn’t playing up for her and everything like that. Mithen said the problems faced by MYI are part of a bigger problem associated with the transition to an individualised funding model. “Our story is illustrative of the plight of people with complex behavioural disabilities under an individualised funding model (like the NDIS),” he said. “This isn’t an issue where we’ve just been unlucky, this is a structural problem with the way it is funded and the way that we’re set up. “We’re a little innovative organisation, as a charity we don’t have access to things like credit or finance in a traditional sense. And so working under a system like the NDIS is basically impossible. “It illustrates to me just how impossible it is to deliver services to people with really complex behavioural disabilities, they are not very well understood at all. “They want us to be paid on the same basis as someone who doesn’t have very complex behavioural needs, but there are all these additional needs; staffing, they need to be highly skilled, they need to be supportive, they’ll need to have behaviour support plans in place and it is a much more complex area. People are struggling anyway with anything that is one to one and this is a level beyond that again. Kevin Raven said he was anticipating problems when the NDIS rolls out in their area in 2018. “There is this perception that the NDIS is going to solve everything, however if we use the example of… MYI, I think there may even be less services available when it comes out because there are some quality providers now who just want to get out of the business,” he said. “I think also the NDIS will create a higher demand for carers supposedly as there will be more funding available, and if the supply doesn’t meet the demand then obviously the prices will go up. “I know that there is a published pricing list for carers however if the demand is great, the better carers will attract higher payments from people who have the capacity to pay. Just having a standard pricing list doesn’t solve that issue. “When you ask the question what makes a good carer there are some carers that can handle Fraser and some can’t. “You can imagine, Fraser at 1.8 metres and 90 kilos, some of the carers can be quite intimidated. The carers that are good take control of him straight away but with the carers who are not good, he seems to sense the weakness very quickly and it’s just as likely that they’ll be back 10 minutes later, and this has happened, after they have gone on with him saying ‘I can’t control him’. Susan Raven said the carers were very important. “For all the carers out there, there might be some that can handle all kids but i’d say we might be lucky if there are 5 per cent that can handle Fraser,” she said. Matsuoka said after speaking with Mithen about the possible closure of MYI, he had attempted to apply for the disability support register to secure funding that would cover the camps, but it was a struggle. “The word Will was told…was basically an unwarranted sort of promise… ‘we’ll do something’, but basically the DHHS didn’t do anything. “The minister just said the diplomatic response without any guarantee… and separately it is getting increasingly difficult to get ISP in the first place, because the state is thinking NDIS is coming in, so everything is going to the federal level. Everything is on hold and it’s very hard to get your foot in the door and get extra funding. Matsuoka, said he is concerned for the future. “I had great difficulty under our current ISP to find a carer,” he said. “We had actually an ISP review several years ago… and they wrote to the agencies and they said ‘actually we don’t have a suitable carer in our organisation’, so basically they said we don’t have anyone suitable to take care of your daughter. “So that’s the thing with the NDIS. “I use the example, NDIS is pushing from MYER to became Kmart, and Kmart becomes Aldi. When MYER has an item, even though sometimes it is not the cheapest, you know if you want to buy a special product you go there and they have it, but then the service becomes Kmart, you get the cheap clothes. Now it is becoming Aldi, so instead with Kmart at least they have something, even if it’s cheap… now it becomes Aldi and what happens is that they stock whatever they have, so they don’t have something every week…we just have to get what they have on the shelf instead of what we want. That’s what it is getting towards… because the care, especially for intellectual disabilities is a high need and experience, which is more costly and requires more training… care agencies are reluctant to spend resources and money for that kind, but they are more likely to be inclined towards a simple service like to come in the house cleaning, have a shopping assistant, just push the wheelchair, things like that. “With this NDIS even though it was promoted as a thing for the future, the client has a choice, you shop around, you decide what you want, tailored service, you choose – but the fact is it is just industry consolidation and we will probably have less choice, we just have to get whatever is available and with this consolidation process the highly specialised organisations, just like MYI, which offers more labour intensive or costly service probably they’ll be wiped out and… big organisations survive. A Department of Health and Human Services spokesperson told Pro Bono Australia News the department funds a number of community service organisations that provide services to people with complex disabilities and presentations. “Melbourne Youth Initiative lost philanthropic support in 2015 and has since suspended its operations. The department provided non-recurrent funding to enable Melbourne Youth Initiative to deliver on existing commitments to clients and also to provide them with the opportunity to become registered as a disability service provider,” they said. “The department has planned for continuity of support and minimal disruption to clients and will continue to work with clients and their families to ensure their needs are met until they transition to the National Disability Insurance Scheme (NDIS). “This includes working with families to determine their needs and providing funding so that clients can choose services that meet their needs, rather than funding organisations directly. “There is no indication the NDIS will not cater for people with complex disabilities; in contrast their access to services may be increased. People with urgent needs will be prioritised and will enter the scheme ahead of their geographic area. “Victoria is well prepared for the NDIS and is continuing to work with the National Disability Insurance Agency to ensure there is a smooth transition for people with a disability, their families and carers. “We understand that some service providers across sectors need to build their capacity to adapt to the new operating environment under the NDIS which is why in December 2015, the Victorian Government announced an investment of $10 million to deliver a NDIS Transition Support Package. An NDIA spokesperson told Pro Bono Australia News the NDIS provides support for people with disability based on their individual needs, circumstances and goals. “The scheme offers choice and control to people with disability, their families and carers in determining what supports they need to help them achieve their goals,” they said. “The National Disability Insurance Agency (NDIA) recognises the role of families and carers is often essential in supporting people with disability. The NDIS provides information, referrals and linkages to ensure carers are able to access supports in the community – including information about government-funded programs, courses and peer-support programs – to assist them in their role. “The scheme aims to generate a marketplace of providers that deliver high-quality and innovative supports in response to the individual choices of NDIS participants. The agency understands this market will take time to develop and mature and providers will need some support and time to adjust to the new fee-for-service arrangement. “The Sector Development Fund was established to assist the disability sector (including people with disability, their families, carers and service providers) to transition to the new arrangements for disability support under the NDIS. This is very sad indeed. But where is the reaction or the community outrage? As long as we have enough millions for our Olympians I suppose.